Agriculture is a sector that is highly vulnerable to climate change. We need to think in terms of how this impacts livelihoods and what this means to our global food systems. Evidence suggests that in the next 40 years meeting our demands for food will change drastically so the time to tackle this is now. In finding solutions the Global Forum on Agricultural Research (GFAR) has worked to ensure that civil society is actively engaged in dialogues on climate change and agriculture. Starting at the GCARD1 event in France in 2010, GFAR has facilitated the voices of civil society in the development of plans and actions on Climate Smart Agriculture (CSA). This process has seen civil society actors joining experts from all sectors at CSA meetings held in Johannesburg, Hanoi, the Hague, New York and most recently to the third Global Science Conference on Climate Smart Agriculture in Montpellier, France on March 18 – 20, 2015. More than 600 researchers and 150 stakeholders and policy makers from 75 countries and 5 continents convened at the meeting in Montpellier to hammer out a declaration that gives us a mode for action. All agreed that Climate Smart Agriculture must be the framework for pulling synergies together – leading to innovative and comprehensive actions, which will result in greater efficiency at local, regional and global levels. We need to be thinking of the small-scale farmers, those who fill the breadbaskets and the rice bowls. We need to focus on the contribution of family farming and empower them. The key role of National Agricultural Research and Innovation Systems from low-income countries to generate the knowledge and partnerships for CSA solutions needs to be emphasized – as demonstrated by the recently published scoping study on climate change policies in fifteen countries in sub-Saharan Africa commissioned by Food, Agriculture and Natural Resources Policy Analysis Network (FANRPAN). Our future and the future of Climate Smart Agriculture rely on policy, institutional and financing decisions. It is essential that there is an active and organized contribution from the entire community of researchers, policy makers, CSOs and farmer organizations. 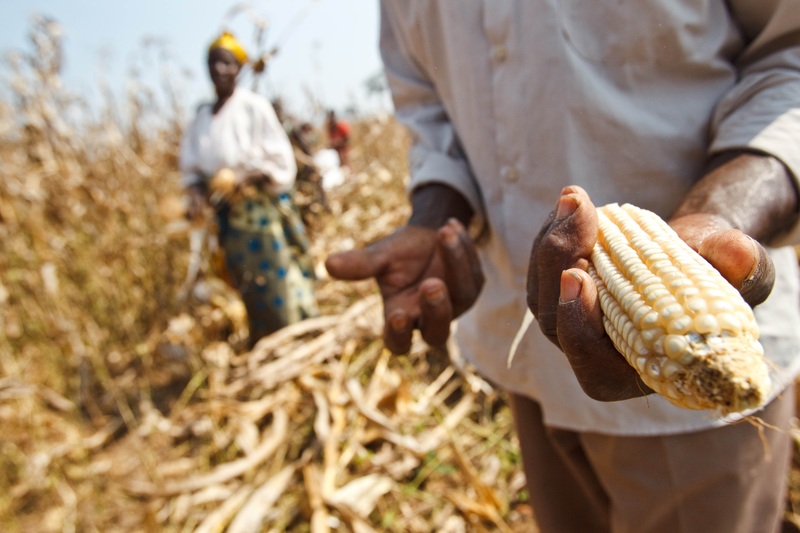 GFAR has been a founding partner in the Global Alliance of Climate-Smart Agriculture (GACSA). Through bringing together an active and organized research community with also civil society members GFAR has been instrumental in forming an Enabling Environment Action Group of the Global Alliance on Climate Smart Agriculture. If agricultural innovation systems are to achieve what is required of them we must build more effective collective actions towards large-scale development impacts. Partnership is a good leading indicator but often not enough. Partnership together with collective action will get the job done better and faster. For this, we need a revolution in agricultural research for development, to mobilize, reorient, strengthen and bring coherence to systems generating and sharing new knowledge around the world, to overcome systematic failings and efficiently lead to development outcomes for the poor. This revolution needs to be farmer-centered and farmer led. The most vulnerable smallholder producers need to be the central focus of attention. Collective action must draw on already established agricultural research for development networks that share the vision of the Global Alliance on Climate Smart Agriculture such as the Global Research Alliance on Greenhouse Gases (GRA), and the CGIAR. The work of this research for development network, adding value to national institutions and systems, will help tremendously in meeting the challenges of Climate Smart Agriculture. Any farming community around the world knows that in order to overcome the impacts of climate change, they will have to combine their valuable local knowledge with the tailored solutions resulting from these partnerships and collective action. GFAR triggers multi-partner actions and solutions to the challenges of our time. It is a catalyst for change that builds, supports and encourages collective actions and synergies among all those involved in agriculture research, extension, education and enterprise. Check out here the GACSA Enabling Environment Action Group (EEAG) newest flyer.